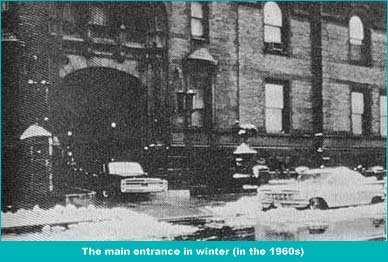 that have come to the historic Dakota building over the decades. 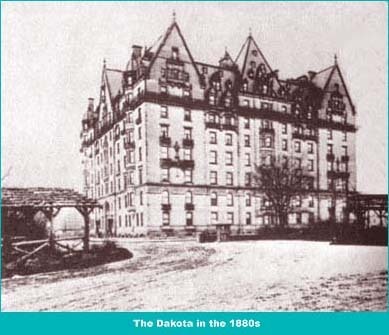 The Dakota was designed by Henry J. Hardenbergh in 1882 and is a New York City landmark (it was given historic status in 1970). Built when the area around West 72nd Street consisted of vacant land and shacks, it has stood proudly as a symbol of wealth and grace for over a century. 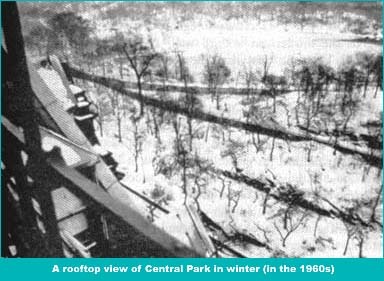 It has been said that its name came from the idea that the land it was to stand on at that time was as far away as the Dakotas from the rest of New York Citys real estate development. 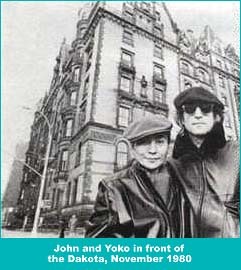 The official address of the Dakota is 1 West 72nd Street, New York, New York. This dramatic luxury building was built around a central courtyard and decorated with turrets, towers, finials, balconies, and gables. Located across from Central Park, the views from the upper floors are spectacular. 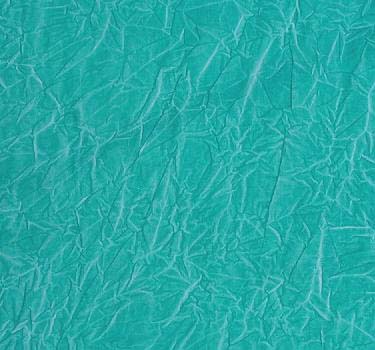 It also allows residents easy access to the many pleasures (still to be had) in the park. 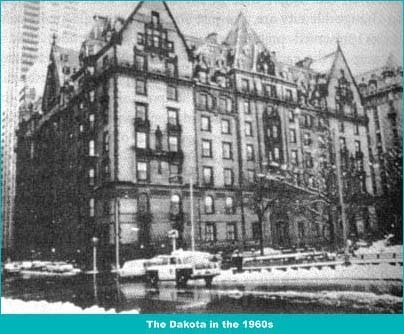 Those who have at one time called the Dakota home (aside from John and Yoko) include Leonard Bernstein, Boris Karloff, Lauren Bacall, Rex Reed, and Roberta Flack. 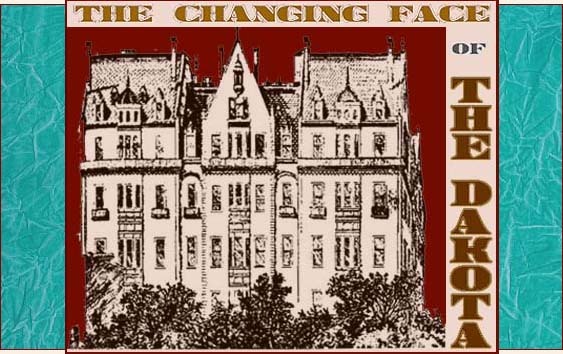 The Dakota Apartments triggered a gradual improvement of the lower park blocks. 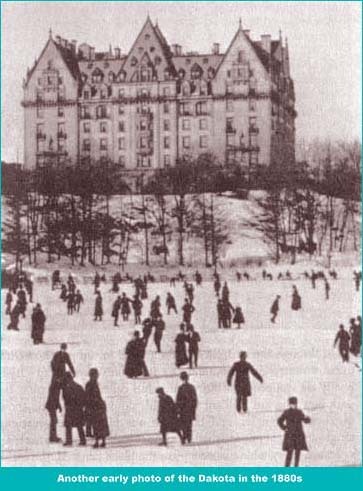 Waves of high class residential development radiated from the Dakota's lordly towers after the building opened in 1884. Slowly, lavish townhouses, patrician apartments, and grand houses of worship rose up in the Dakota's shadow. 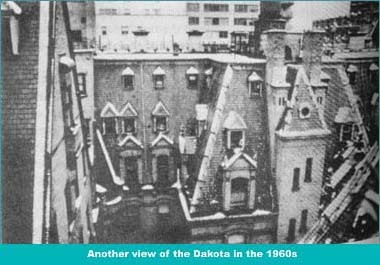 The photos below illustrate the changes that have come to the Dakota from the 1880s to the present day. I hope you enjoy this photographic history trip. York's most famous apartment building.